Widely regarded as the first modern autobiography, The Confessions is an astonishing work of acute psychological insight. 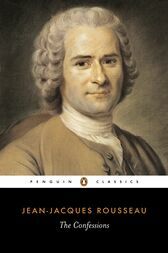 Jean-Jacques Rousseau (1712-78) argued passionately against the inequality he believed to be intrinsic to civilized society. In his Confessions he relives the first fifty-three years of his radical life with vivid immediacy - from his earliest years, where we can see the source of his belief in the innocence of childhood, through the development of his philosophical and political ideas, his struggle against the French authorities and exile from France following the publication of Émile. Depicting a life of adventure, persecution, paranoia, and brilliant achievement, The Confessions is a landmark work by one of the greatest thinkers of the Enlightenment, which was a direct influence upon the work of Proust, Goethe and Tolstoy among others. J.M. Cohen, a Cambridge graduate, was the author of many Penguin translations, including versions of Cervantes, Rabelais and Montaigne. He died in 1989.